This is a joint competition for VU and VUMC investigators. All investigators should follow these instructions. 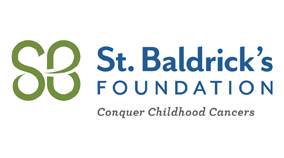 Vanderbilt may submit research grant, supportive care research grant and consortium research grant proposals for the St. Baldrick’s Foundation spring grant cycle. The St. Baldrick’s Foundation is a nonprofit organization raising funds for childhood cancer research. All projects must have direct applicability and relevance to pediatric cancer. Download full guidelines for each grant type here. Research grants: These grants may be either laboratory, clinical or epidemiological in nature. The average grant will be one year and $100,000 for a specific hypothesis-driven research project. Supportive care research grants: These grants focus on areas related to the supportive care of children and adolescents with cancer. Examples include but are not limited to: studies related to symptom clusters, patient-reported outcomes or quality of life, health communication, health promotion, and psychosocial support across the trajectory from diagnosis to survivorship or end-of-life care. The average grant will be one year and $50,000 for a specific hypothesis-driven research project. Consortium grants: These grants are for team science to support program projects for a group of three to five or more institutions solving key questions in childhood cancer. Existing consortia or new/not-yet-formed consortia are all eligible. The average grant will be one to five years, $100,000–$500,000 annually. 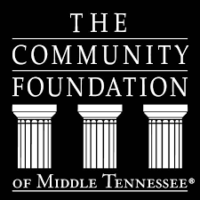 Grants are made with the intent to support the full term, with funds committed one year at a time, based on acceptable progress. Applicants should review full eligibility and budget requirements in the grant guidelines document. Research grant applicants should hold at least an M.D./D.O. or Ph.D. degree by the date the award becomes effective. Supportive care research grant applicants should hold at least a Ph.D., D.N.P., M.D./D.O. degree, and Ph.D. nurses are encouraged to apply, by the date the award becomes effective. During each grant cycle, a researcher can only apply once as the lead principal investigator. Baldrick’s funds may not be used for human embryonic stem cell research. No institutional overhead or indirect funding is allowed. Anyone interested in being considered as one of Vanderbilt’s nominees must submit the following (in a single PDF) to LSO@vanderbilt.edu by Jan. 8, 2019, at 5 p.m. Please reference the grant type in the subject line of the email. You may apply to internal competitions for one or more grant types. Please submit a separate application for each grant type. Following internal selection, Vanderbilt’s nominee(s) will submit a letter of intent to St. Baldrick’s by Jan. 31, 2019. Please contact us at LSO@vanderbilt.edu if you have any questions.